John Reynolds Ewens was born in Chichester, Sussex on 22 November 1835, the second son of William Ewens and Sarah, nee Spiller. The Ewens and Spiller families arrived on the 'Prince Regent' on 25 September 1839. On 21 March 1853 at the age of 17, he became a trooper in the Police and remained in the service for 35 years, with positions across the state. Several of his brothers also joined the Police as troopers. He married twice: to Harriet Ham in 1857 and Annie Maria Worth in 1872; his family comprised nine sons and four daughters. 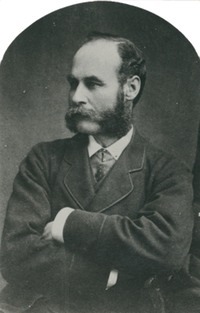 J.R. Ewens died on 28 October 1888. From the time he joined the police force, until his death in 1888, he kept a daily diary. In February 2015 we were contacted by Valerie Monaghan of the Robe Branch - National Trust of South Australia; who advised that one of these diaries was donated to them. It is now held by the State Library of South Australia. The Diary covers the period 1853-62. A State Library transcript of the diary is copied here. The State Library also refers to a further diary covering 1870 in their records ‘PRG 1377/53 - File on Murray River Floods containing general notes on the history of the Murray River flooding by John C. Tolley, with extracts from the diary of Sergeant J.R. Ewens, Blanchetown Police Station relating to the 1870 flood. Reference to the diaries are mentioned in a book about the explorer John McDoull Stuart which was written by Mona Stuart Webster in 1958. 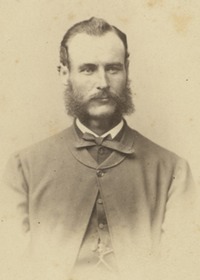 In 1861 Ewens was at Port Lincoln and is quoted as having met Stuart where he observed his advanced return to Adelaide by ship out of Port Augusta. Mona Webster quotes the diaries with thanks to Mr Leonard J Ewens for access to them. 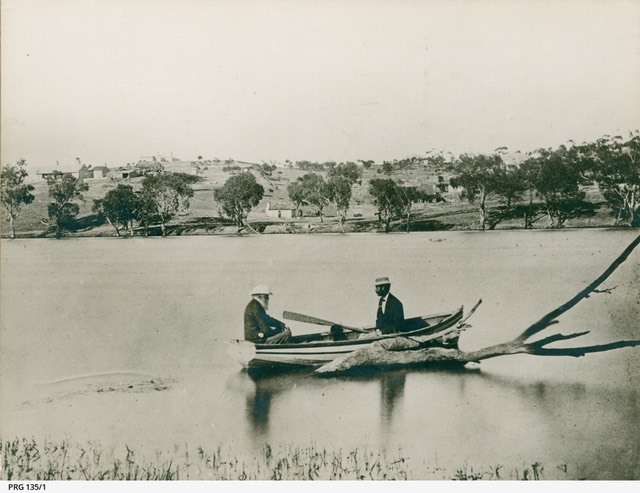 Leonard Ewens lived at Rollerston just outside the city of Adelaide at the time. In his obituary, John Reynolds Ewens is quoted as being 'an enthusiastic collector of natural history objects. This leads Ralf Grandison to think that as he was the right place at the right time, he may have met several natural history collectors throughout his lifetime. Ralf is keen to track down the missing diaries. John Reynold Ewens married twice, and each time had 6 or 7 children. This has complicated Ralf's research and the two families over the years have appeared to have lost touch with each other. This has resulted in the diaries being forgottten about. Ralf resides in Hope Valley South Australia. See also the article on his Grand-son - John Qualtrough Ewens.